Such a handsome card! 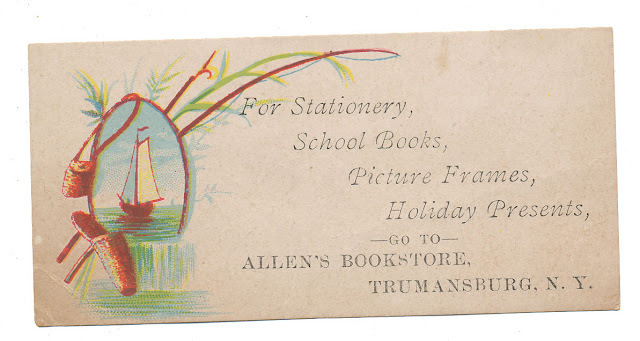 I would certainly buy my school books and picture frames from Allen's. (Should we discuss the period use of "holiday" or let it speak for itself?